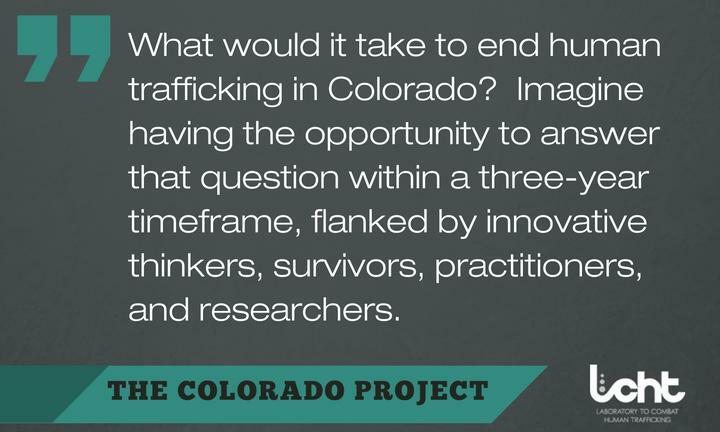 Beginning in 2010, the Laboratory to Combat Human Trafficking led a three-year, interdisciplinary research project known as The Colorado Project. Between 2010 and 2013, The Colorado Project to Comprehensively Combat Human Trafficking 1.0 (CP1.0) assessed the ongoing anti-trafficking efforts in the state of Colorado in order to understand if and how Colorado addressed prevention, prosecution, protection, and partnership (4Ps). 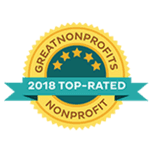 The ultimate goal of the research was to develop sustainable efforts to end human trafficking with the essential input of those working on the ground. The Colorado Action Plan 1.0 (2013) was a tool for community members and leaders to organize an informed response to human trafficking in Colorado. As The Colorado Project 1.0 came to a close, the state and national advisory board developed the plan in order to advance key recommendations and activities for leaders in our statewide movement. While developing The Colorado Action Plan 1.0, the Laboratory to Combat Human Trafficking conducted a substantive literature review to better understand and define the key components of promising practices within each of the recognized 4Ps: Prevention, Protection, Prosecution, and Partnership.